The entire Meryl Streep #GoldenGlobes speech. Meryl Streep thinks the Hollywood foreign press needs protection. She forgets the journalists in Syria – where Obama didn’t stop a genocide. 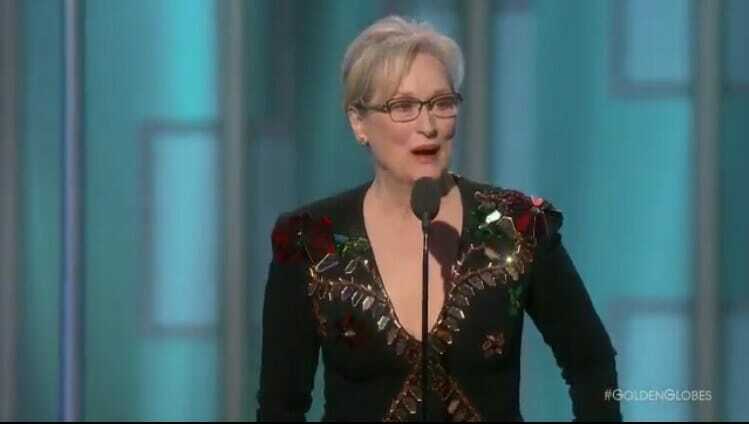 Actress Meryl Streep uses her Lifetime Achievement Award speech to bash @realDonaldTrump. How imaginative! How creative!Yawn.